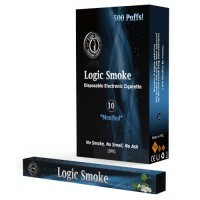 Logic Smoke Menthol flavored electronic cigarette e-liquid is a top seller. 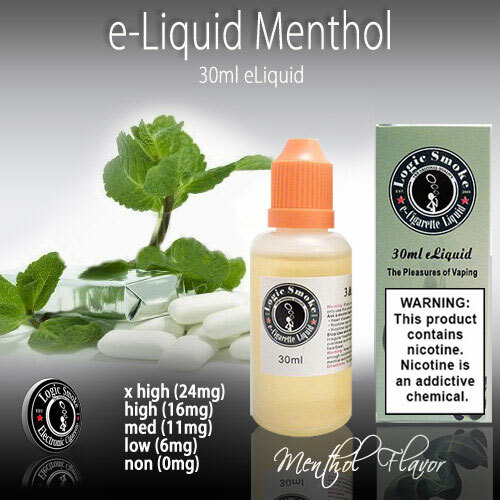 It is THE perfect, full flavored menthol e-liquid. With a throat hit that won't stop and gigantic bursts of vapor that will surely please. Try it alone or use it to jazz up other Logic Smoke flavors by adding a few drops to fruit and berry flavored e-liquids or to your favorite tobacco flavored e-liquid. Check it out!! The electronic cigarette e liquid, additionally called the nicotine e liquid or efluid. Logic Smoke e liquid comes in several flavors and five Nicotine density strength levels. Take advantage of our e cigarette liquid deals and save with the best e liquid solution offered on the market! For best solutions and a lot of savings use our electronic cigarette e liquid.